Ontario awarded US$1.97 million in microgrid funding for three projects Friday, continuing what’s been a significant round of government financial backing in North America this month. Earlier in February, California selected 10 microgrid projects to receive $51.9 million in grants, and Massachusetts announced $1.05 million in feasibility study funding to be divided among 14 projects. 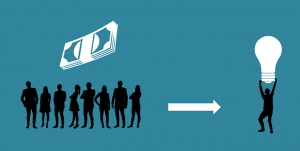 In Ontario, Solantro Semiconductor won $950,000 for a nanogrid; Opus One Solutions, $870,000 for a community microgrid and ARDA Power $228,000 for a direct-current (DC) microgrid. The microgrid funding is part of a larger $8.27 million smart grid package that the province dispersed, with awards also going to energy storage, data analytics and grid automation initiatives. Ontario expects the 12 projects to help improve electric delivery, reduce costs and create more than 100 high-tech jobs across the province. “Through commitments made in our 2017 Long-Term Energy Plan, we will keep Ontario at the tip of the spear when it comes to embracing an innovative, smart and affordable electricity system, while creating good jobs in communities across the province,” said Glenn Thibeault, Ontario’s energy minister. The Ministry of Energy expects to seek applications for a new round of smart grid funding shortly. The province launched its smart grid program in 2011 and says the program has since created 800 jobs. The nanogrid that won funding is being developed by Ottawa-based Solantro Semiconductor in partnership with Hydro Ottawa. Ten households will be outfitted with solar power, battery storage and load control to demonstrate customer choice and potentially lower electricity costs. The households will produce, store and use their own energy while still being connected to the central grid. The Opus One project, a community residential microgrid, will be developed with utility Veridian Connections and property developer Marshall Homes. The microgrid will use the Opus One GridOS platform to integrate various distributed energy resources (DERs), including Tesla Powerwall storage systems and residential solar. The team hopes to improve reliability, resiliency and the efficient use of shared DERs for customers. The ARDA Power microgrid attempts to turn on its head the conventional use of alternating current (AC), the standard for power grids. ARDA Power will build and test a DC microgrid that incorporates a range of clean generation sources and energy storage. This approach is expected to improve efficiency and resiliency, with an eye toward proving DC microgrids to be more cost-effective than AC microgrids. Funding also went to an energy storage project by Renewable Energy Systems, which will use the $1.5 million to demonstrate that a single energy storage facility can perform a range of services to make the grid more efficient. The project will focus on using energy storage to reduce peak demand, manage voltage, make better use of renewable energy, and ensure reliable power for those that need it most. Others who received smart grid funding are: Utilismart and Survalent for data analytics; and Hydro Ottawa, Kinectrics, SPARQ, Alectra, Burman Energy and Green Power Labs for grid automation. 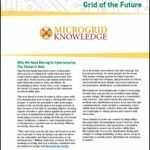 Track news about microgrid funding by subscribing to the free Microgrid Knowledge newsletter.